Dr. Buchanan is the daughter of Dr. Jon Y. Moody. She was born in Lincoln, Nebraska and she grew up working as a dental assistant for her father in Holden, Utah where she graduated Valedictorian of Millard High School. From there she attended Southern Utah University where she graduated with honors earning a bachelor’s degree in biology. Upon applying to dental school in 1999, Dr. Buchanan was chosen as one of only ten students to attend the prestigious Regional Dental Education Program (RDEP). This program allowed her to attend the University of Utah Medical School her freshman year. She then completed her remaining three years of dental education at Creighton University School of Dentistry located in Omaha, Nebraska. She also completed an externship in Maxillofacial Prosthodontics while in dental school. 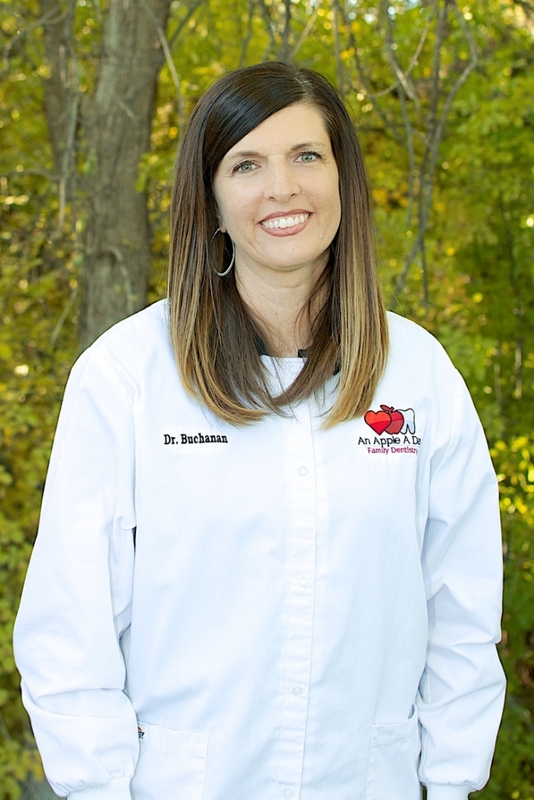 Dr. Buchanan graduated from dental school and started practicing with her father in Saint George, Utah in 2003. She is a member of the Spear Education Faculty Club and is a Spear Study Club Leader in the area meaning she promotes the growth and education of local dentists. She also continues her dedication to extensive continuing education and the use of cutting-edge technology. This in conjunction with a new 2700 square foot state-of-the-art office that she built with her father in 2007 allows her to offer her patients unparalleled quality and professionalism in their care and treatment. 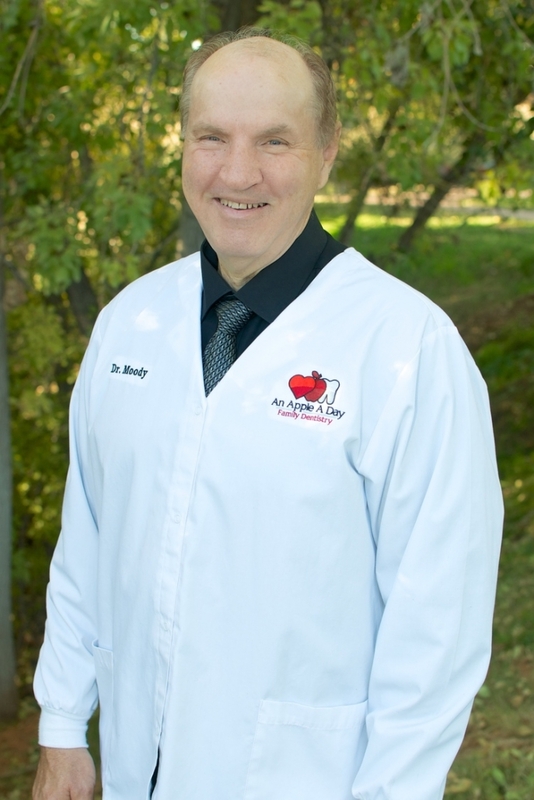 Dr. Moody has been practicing dentistry for over twenty-five years. He was born in Payson, Utah and grew up in Delta, Utah. He developed an interest in dentistry while attending Southern Utah University (SUU). After graduating from SUU, he was then accepted and graduated from the dental school at the University of Nebraska, home of the Nebraska Cornhuskers. He is still an avid football fan – Go Huskers! His wife, Susan, and he then moved to Holden, Utah to raise their family and open the first Apple A Day Family Dentistry practice in Fillmore, Utah. Hopeful that he might someday be joined by his daughter, Dr. Moody opened a second An Apple A Day Family Dentistry location in St. George, Utah in 1997. In 2003, he welcomed his daughter back to St. George where they have been practicing together ever since. Dr. Moody strives to be on the cutting edge of dentistry by attending continuing education programs offered through the American Dental Association and Academy of General Dentistry. He is excited to offer you the opportunity to experience the powerful combination of modern technology and an experienced touch. In his spare time, Dr. Moody enjoys fishing, gardening, camping, and being with his grandkids. His favorite movie is ‘The Quiet Man’ with John Wayne and Maureen O’Hara. He also lists Thanksgiving Dinner as his favorite food and something unique about Dr. Moody is that he comes from a family of 11 children where he has seven brothers and three sisters. 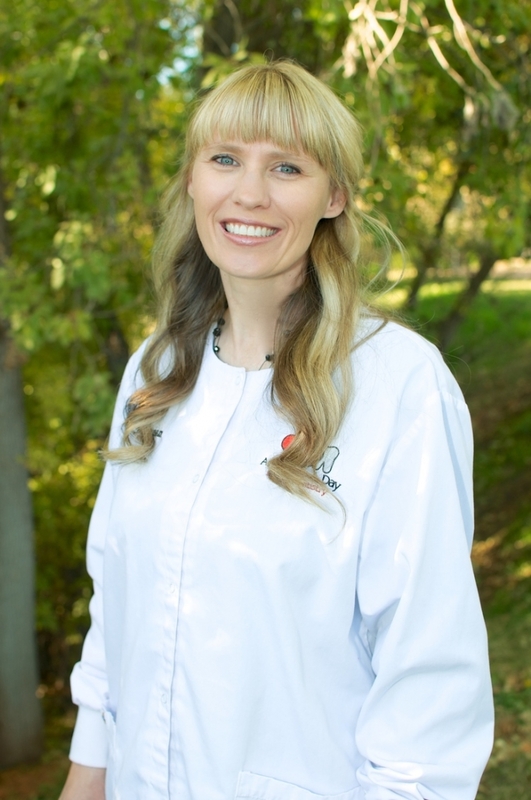 Dr. Noelle Wilhelmsen spent her childhood in the mountains of Utah Valley and Idaho Falls. During junior high and high school, she participated in various sports, cheerleading, business and language clubs, and student government. Dr. Wilhelmsen attended Brigham Young University, where she earned her Bachelor’s Degree in Human Biology and taught in the Anatomy lab. She completed her dental education at the Ohio State University, where she again participated in student government and was honored to serve as the Student Government President during her senior year, in addition to receiving a prestigious award in Clinical Excellence. For several years after dental school, Dr. Wilhelmsen served as the supervising dentist at Mountainlands Community Health Center in Provo, Utah. She also participated in many community events, such as Give Kids a Smile, Dentistry from the Heart, public health fairs, and dentistry for the underserved or uninsured. Since then, Dr. Wilhelmsen has worked in several private practices in the Dallas area and loves being a part of the staff providing excellent dental treatment at An Apple a day Dental in St. George, Utah. Dr. Wilhelmsen loves to stay updated on the most current trends and treatment in dentistry by attending continuing education seminars around the country. She especially enjoys and is proficient in wisdom tooth extractions, root canals, implants, and Invisalign orthodontics. While not practicing dentistry, Dr. Wilhelmsen loves spending time serving at her church and relaxing with her three young children and husband, Corey. Some of her favorite hobbies are traveling, snorkeling, hiking, kayaking, and watercolor painting.